A high performance detergent for machine maintenance cleaning of all types of floors and surfaces. Strong and streak free cleaning results even at low dosing due to special high-wetting surfactant properties. Universally applicable on all coated and uncoated floor coverings, natural and artificial stone, plastic surfaces and even of difficult to wet hydrophobic surfaces. This detergent should be used at just 1%. 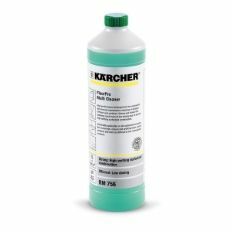 We provide a 50ml dosing lid for this bottle to dose the exact amount into any machine without any spillages.